Ficino School provides a philosophically inspired private school education for boys and girls Years 1-8. A Ficino School education is multi-faceted; designed to realise the unique potential within each child. Children who come to Ficino School develop confidence, a love of learning and a strong sense of self, while growing their innate ability to care for others. Our programme is based on three key platforms. 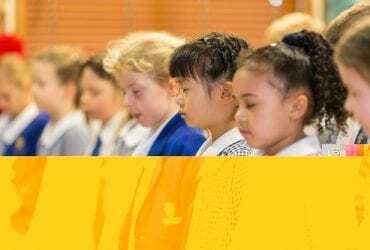 Our unique curriculum incorporates aspects of the Cambridge Primary Programme and New Zealand’s National Curriculum, as well as specialist programmes from our sister schools around the world. We focus on the fundamentals to ensure our children have a strong foundation for their learning, such as understanding punctuation and grammar, learning times tables by heart, and practising good handwriting to develop fine motor skills and the ability to attend. As the children grow, their natural passion for enquiry is ignited through deep exploration of the subject matter..
We believe in expanding children’s horizons through the rich material found in our global traditions. The children study the greats in the History, Myth and Culture programme, read and enact Shakespeare plays, practise inspiring classical music and learn from the best and brightest cultures and civilisations around the world. For the older children, this learning is capped by a once in a lifetime opportunity to experience some of that history and culture for themselves, on the Ficino School Renaissance Trip to Europe. However, the biggest thing Ficino School does differently is to give children space. We do this through practising mindfulness, including philosophic inquiry. In all philosophical and religious traditions great weight is placed on the need for inner quiet and contentment. We feel that it is important for children to gain an early taste of their own capacity to experience the quiet within, and also be aware of the interconnectedness of all things. For example, at the beginning and end of each activity, the children briefly close their eyes, and come to rest. They listen to the sounds around them, pay attention to their senses, and are simply in the moment for a few seconds. This gentle exercise refocuses and re-energises the children and teachers for whatever lies ahead. Older children are also offered a time for meditation or extended practise in mindfulness time each day. The children are encouraged to develop their power of attention. This is to take care – truly focusing on the task at hand – pen to paper, hand to instrument, listening to the person in front of them. The ability to work like this greatly improves the way children learn, and their efficiency while working. The children take care of each other too. Courtesy, respect and good manners are part of everyday life at Ficino School – visitors frequently comment on the positive way children behave towards each other as well as adults. By fostering a love of learning, teaching the ability to be calm and centred and encouraging children to have respect for all, Ficino School helps our students to build strong foundations for life. Read more about our curriculum here, or please come and see us to experience our school for yourself.